Its Your life. It's Your art. 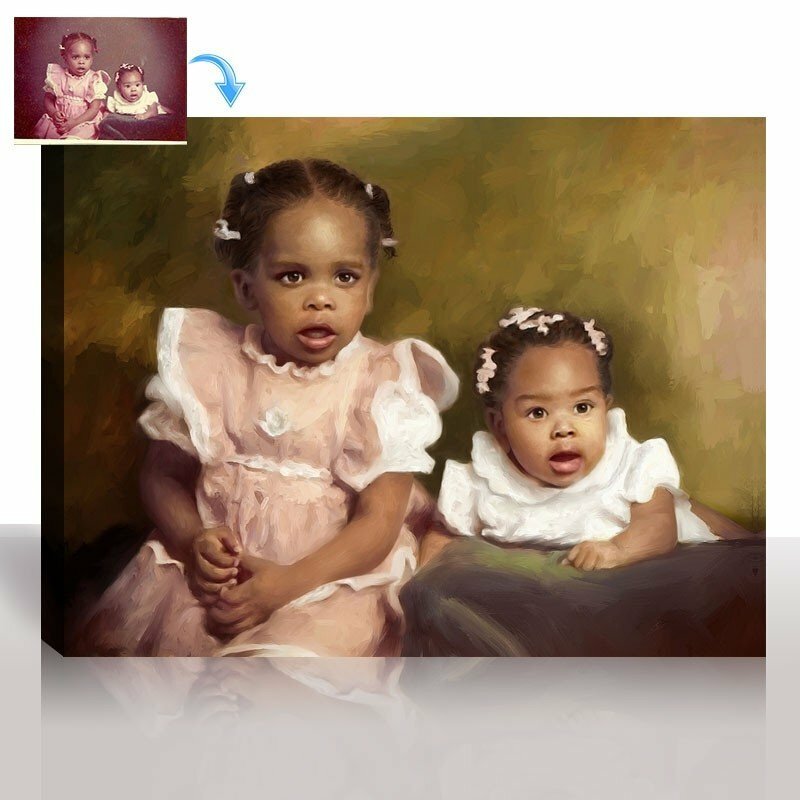 Our Artists Turn your Photos into Exquisite quality Oil Portraits on Canvas. 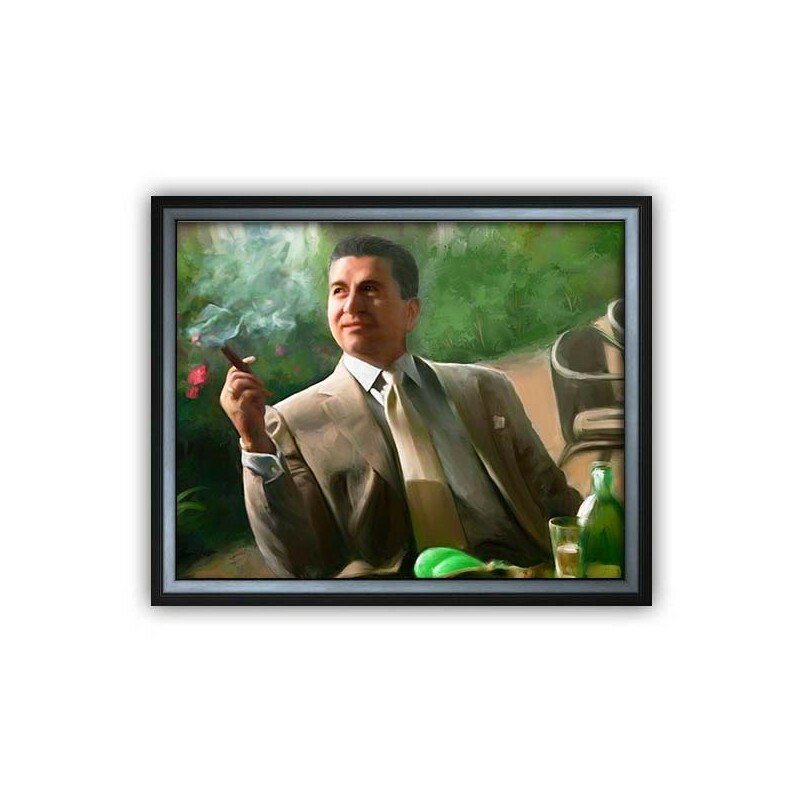 No matter the occasion or decoration an Oil Style Portrait will impress. 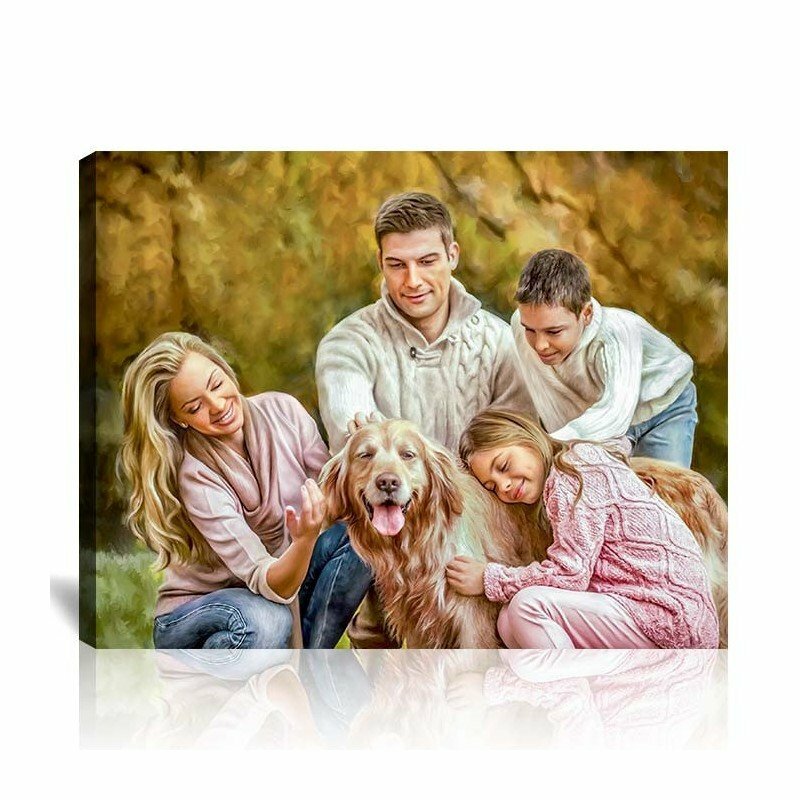 Create a time-honored personalized Oil Portrait Painting for gifts, heirlooms, and decor. 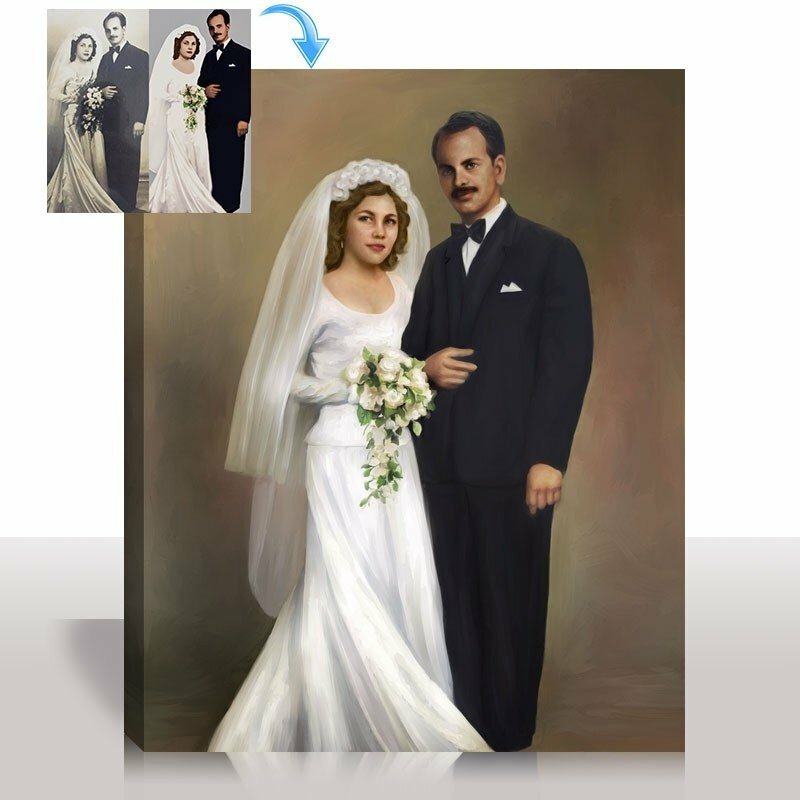 Your most beloved and treasured photos made to paintings in oil portrait style. Your most special images have a backstory. A story of love, a momentous occasion, a celebration. 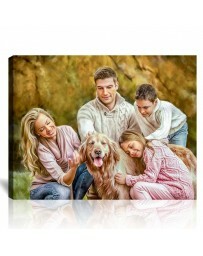 Oil Portrait painting is a time honored way of expressing our lives in the form of art. 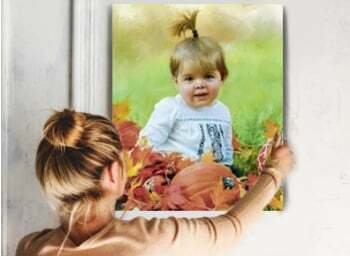 This is why our artists put many hours of work into each and every one of your canvas portrait paintings, knowing that each masterpiece has a special value in the hearts of our customers and the family and friends they share them with. Our artists specialize in customize in creating unique pieces according to our customers desire. The best part is that we can even provide a proof so that you can make sure it looks the way you want it. This way there is no risk, since we can revise it till you are satisfied or provide a refund if not. 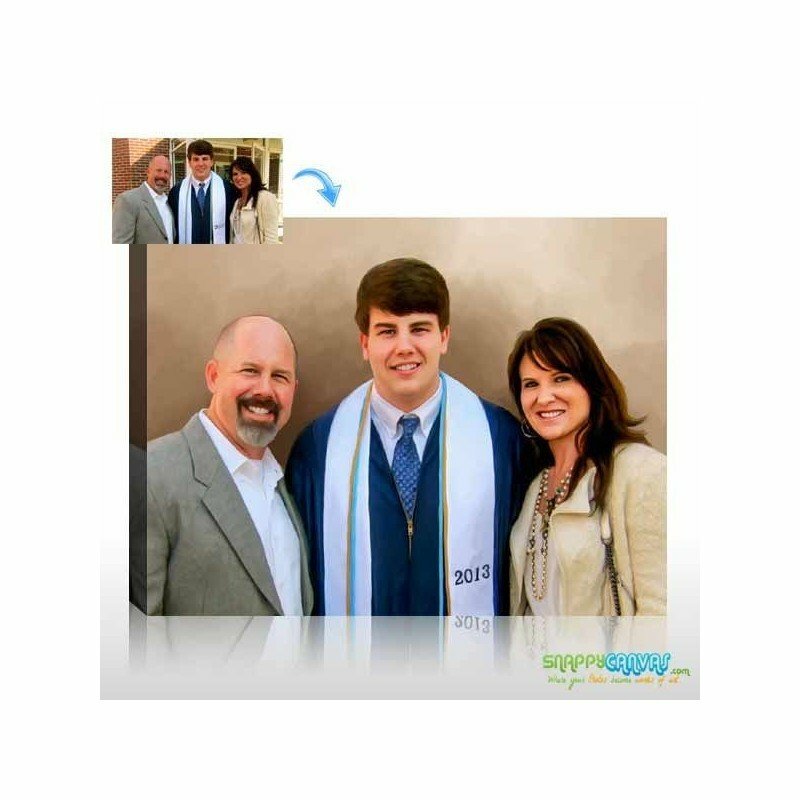 We are ready to help turn your photos into oil portrait style art! 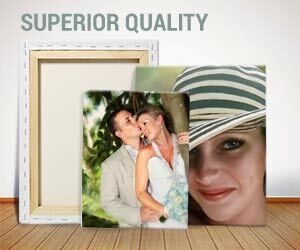 Snappy Canvas makes no sacrifices when it comes to quality. 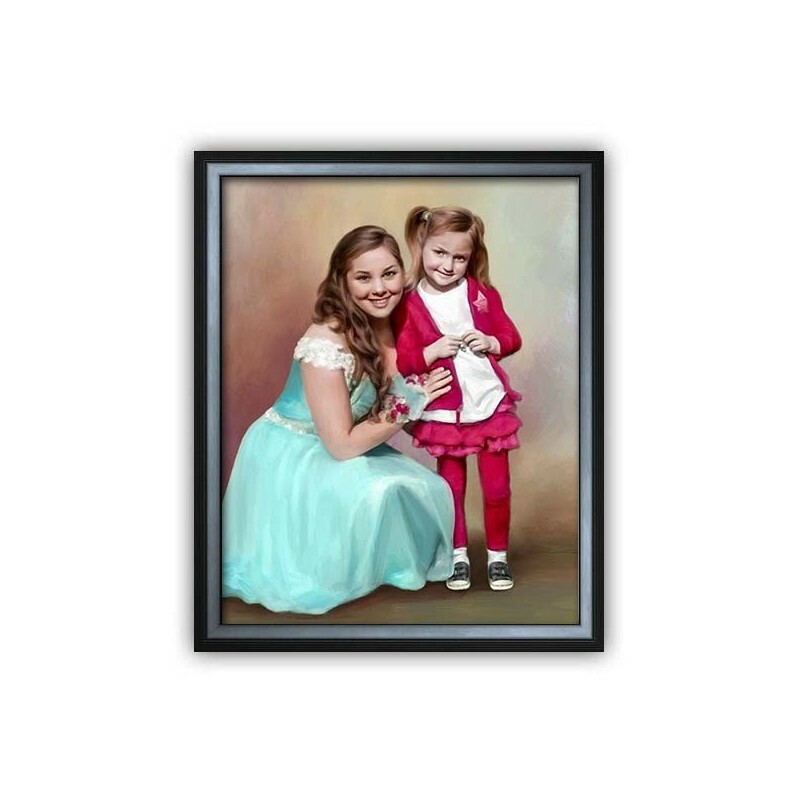 From high grade gallery worthy canvas material to real pine wooden stretcher bars, our portraits are carefully hand stretched in the U.S.A for maximum durability and longevity. 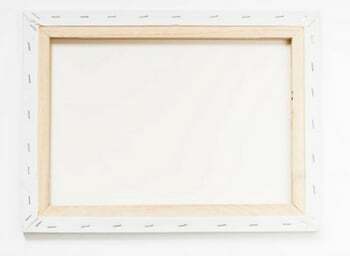 Don't settle for low quality imitation canvas and fake materials. 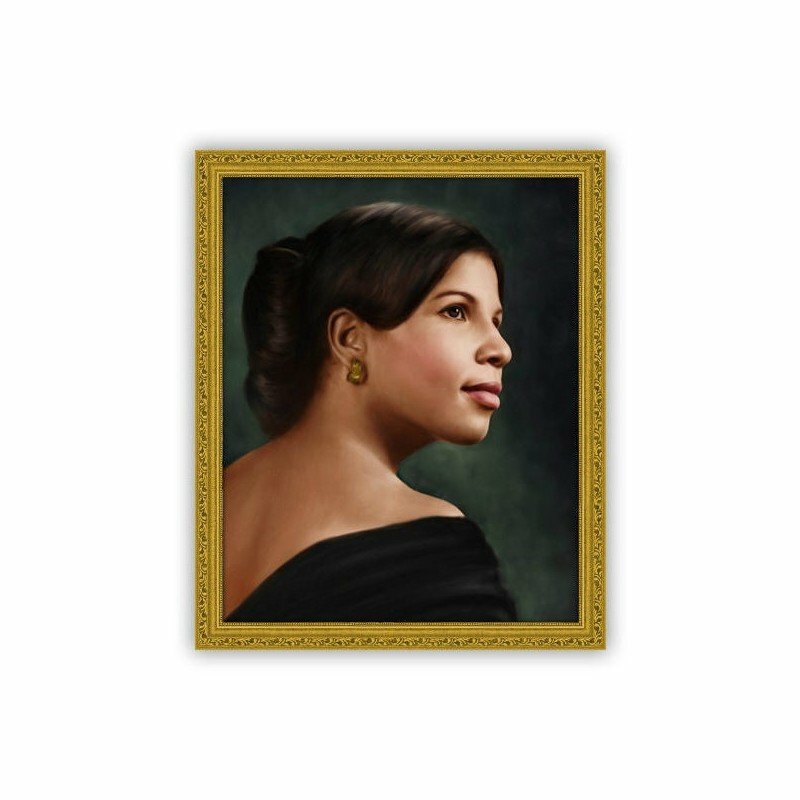 Portrait paintings should be made in a way that they can be admired and passed down through the family or business. 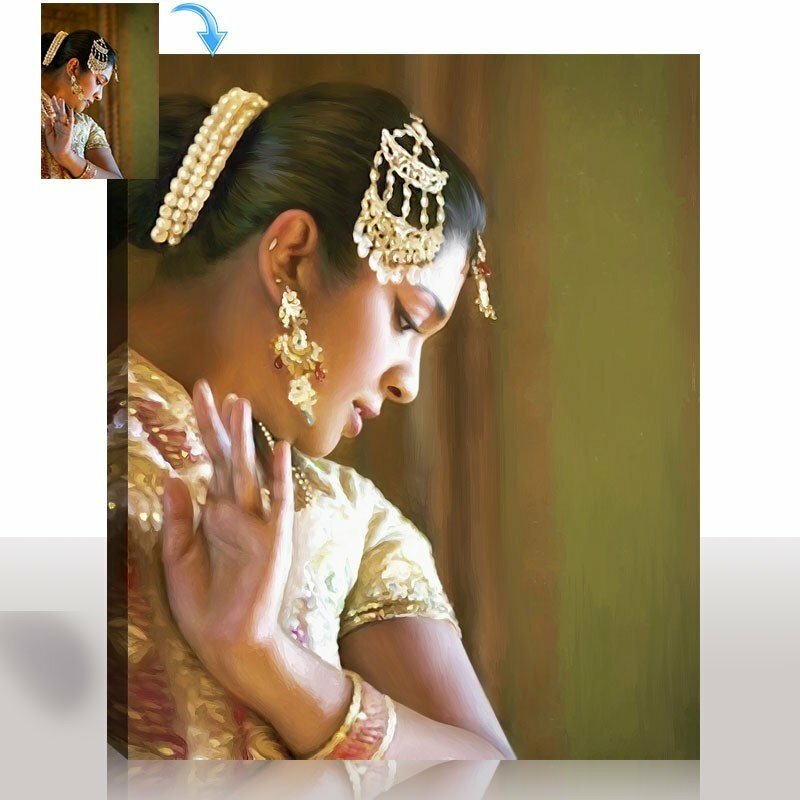 Our photo to paintings are hand digitally painted stroke by stroke by highly experienced and talented artists. We stand by our work and include a 100% money back satisfaction guarantee. 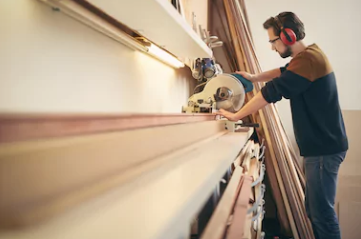 Our friendly support staff are also on hand to help make sure you will be overjoyed with the results, and are happy to provide recommendations and suggestions to help in achieving superior quality artwork. 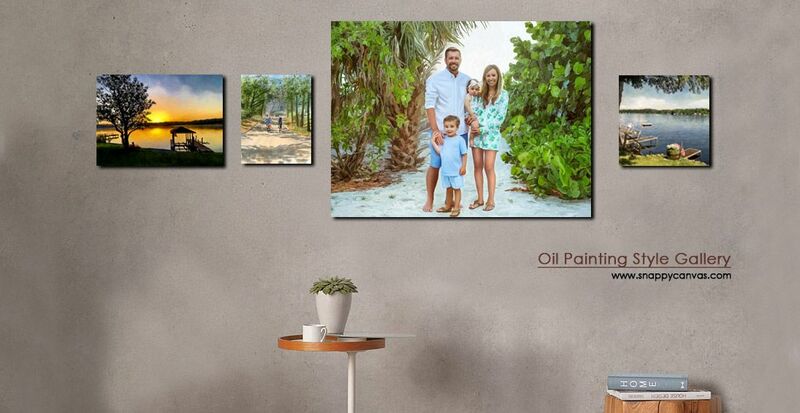 Our paintings are made with love and a passion for art, and have been appreciated an enjoyed by everyone from your neighbor to Hollywood celebrities and professional athletes. 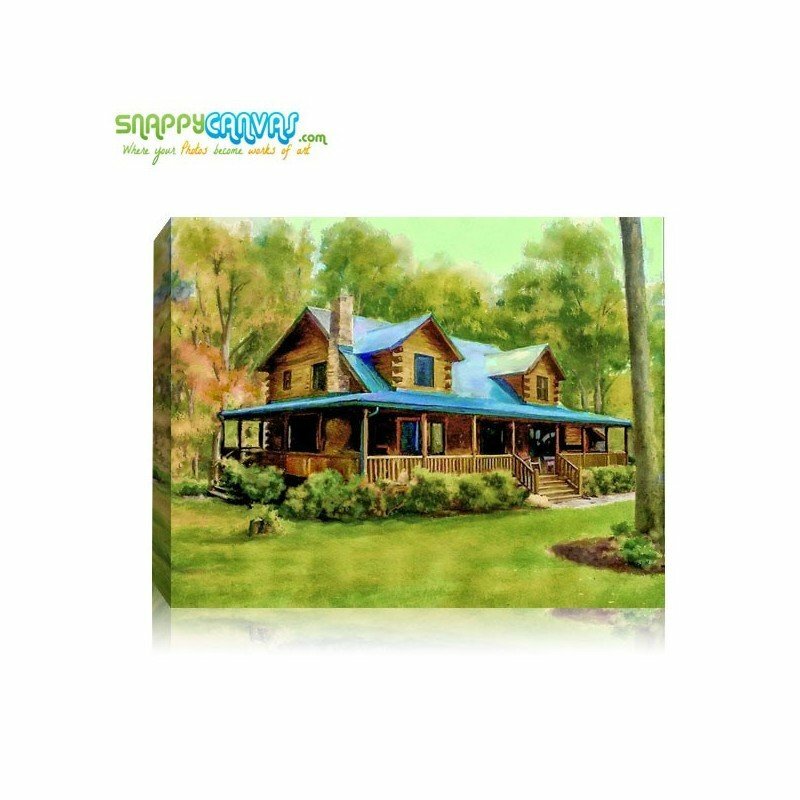 At Snappy Canvas we believe everyone should enjoy the experience of having their photos made into paintings. We are also all about customization. 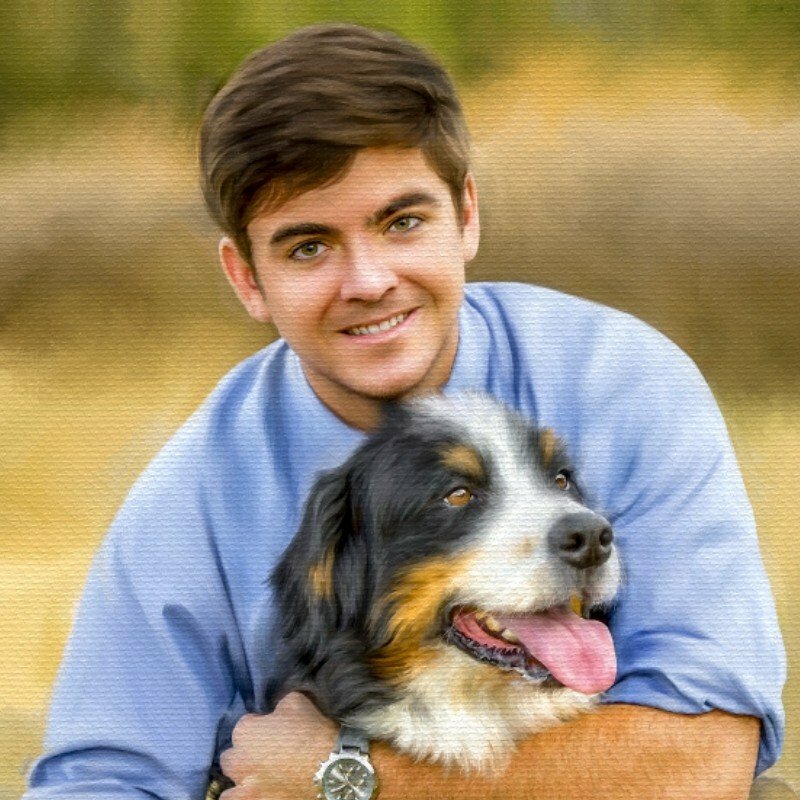 Want us to combine multiple pet photos into one painting? Have a really old family photo that you want restored to glory? Consider it done! Our artists can turn your imagination into reality. 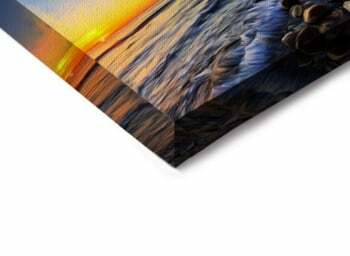 Why should you turn pictures into oil paintings? There are many reasons like, special anniversaries, remembrance, birthdays, interior design, or for the sheer joy of the experience. 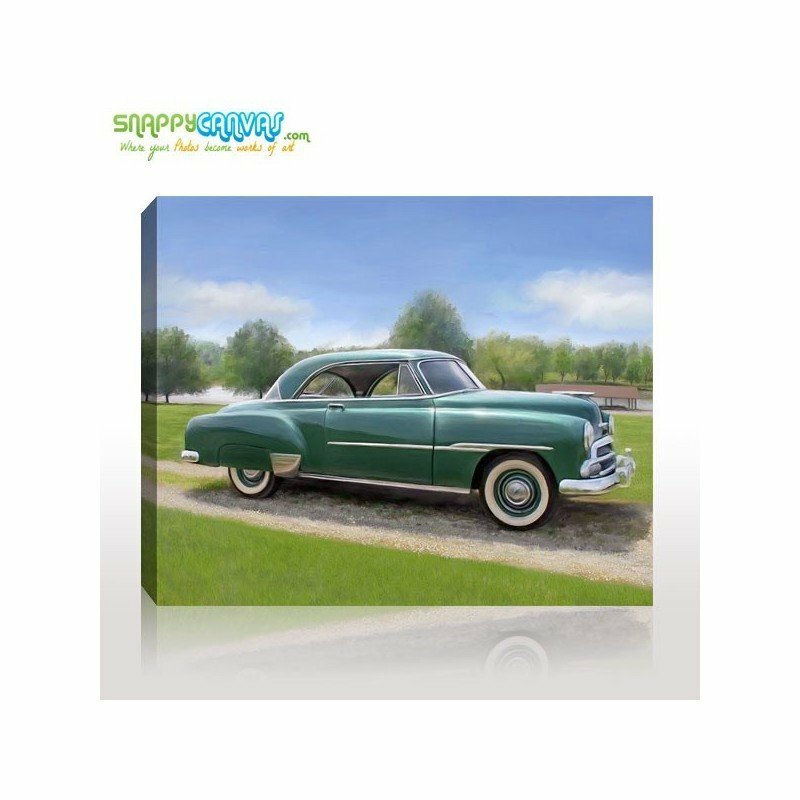 Snappy Canvas skilled artists are ready to hand digitally paint your photo into a wondrous keepsake. 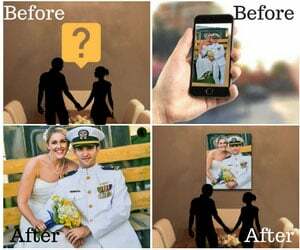 Don't worry if your image is small , old or damaged. We frequently can create magic out of them and if we can't we will notify you before proceeding. 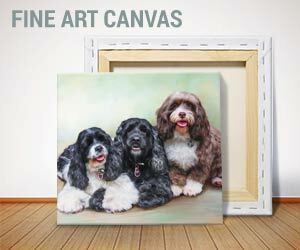 If you have any questions or need help deciding how to turn your images in to gallery worthy art, don't be shy to ask us. That's what we are for! 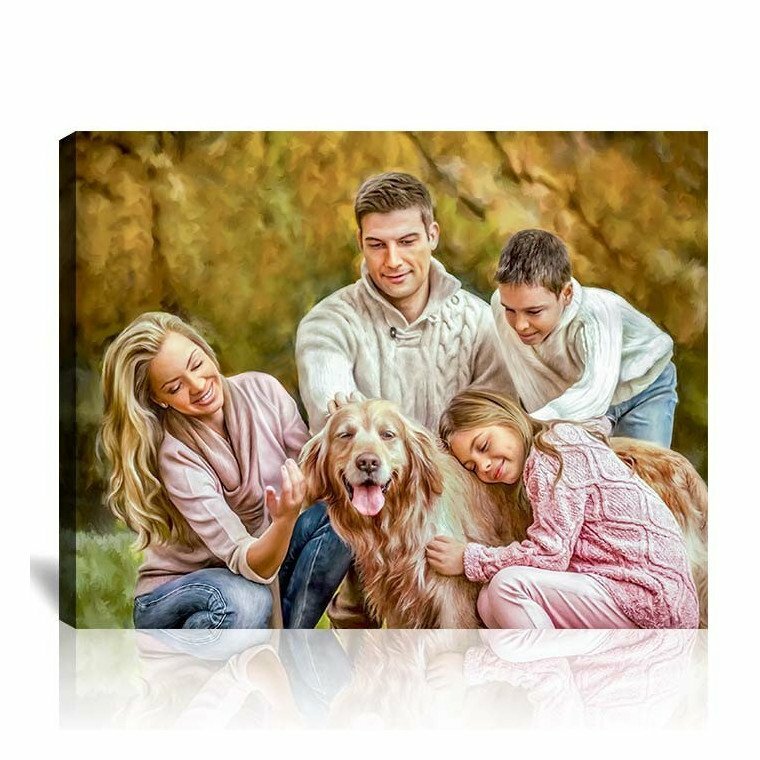 Receive a preview of your canvas by choosing the “E-proof” option. 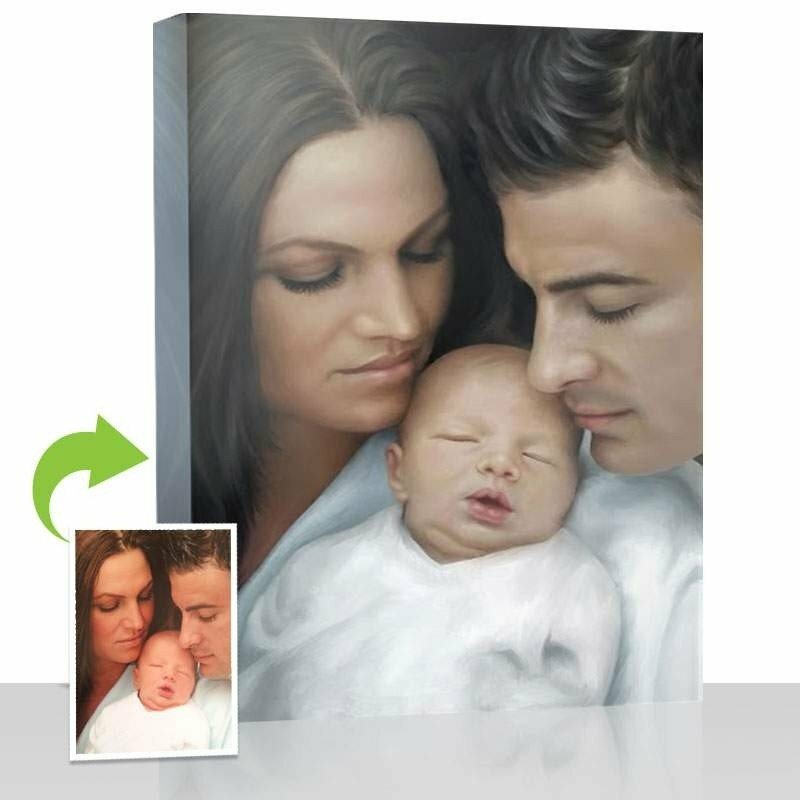 We will email a proof and once we receive your approval, we will complete and ship out your portrait. 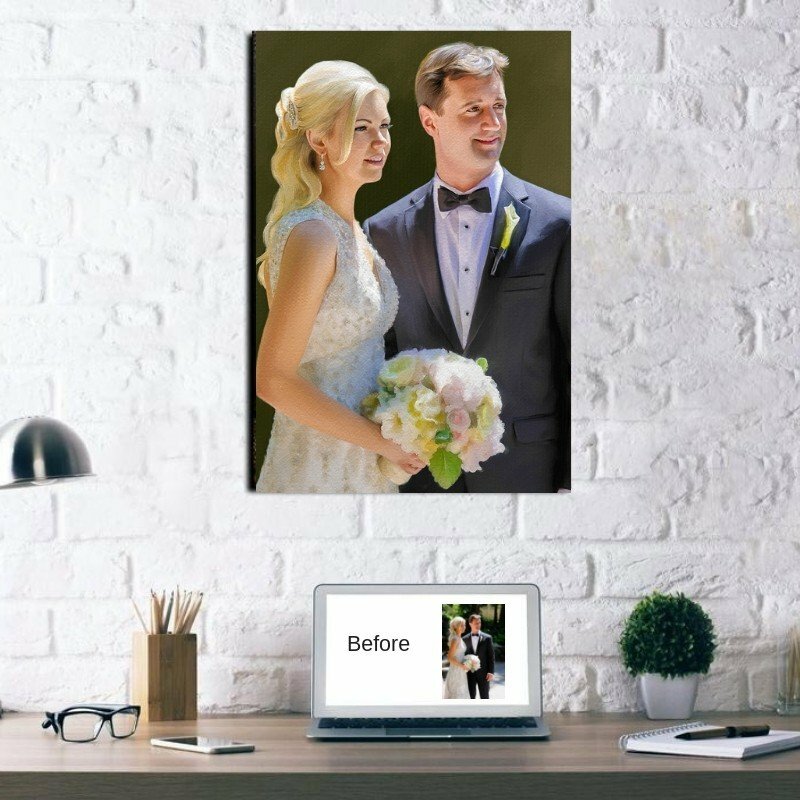 On top of that we offer you a 30 day money back guarantee, allowing you to return the canvas within 30 days if you are not satisfied with the results. I was very pleased with the Watercolor effect that the SnappyCanvas artists created for me of my daughter racing her sled-dog team.I will definitely contact the SnappyCanvas Team again to create another canvas for me!Thank you,Deborah H.
I like being treated in a professional manner, as I am also a business and treat my clients likewise. I look forward to my next project .